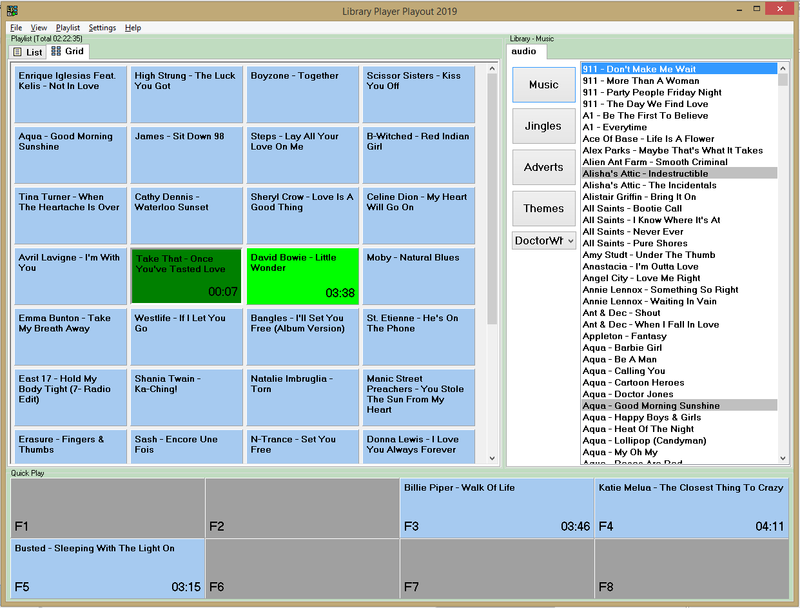 Library Player Playout is an audio playout software, ideal for home studios, hospital/community radio and small startup broadcasters. 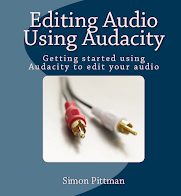 Includes many features you'd find in leading and more expensive systems, but without the complicated setup. Supports multiple libraries, multiple outputs and easily customisable. 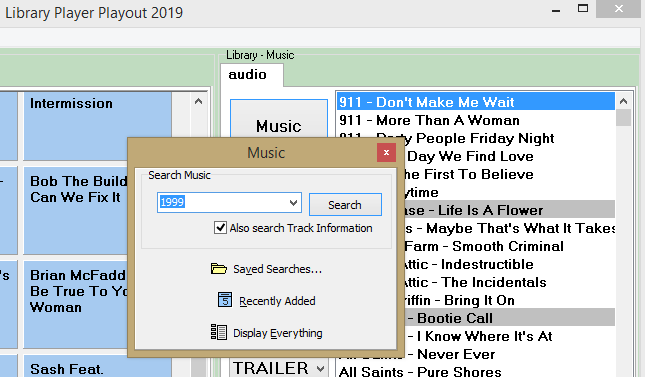 No need to set up complicated databases - just tell Library Player Playout where your tracks are stored and you are up and running. 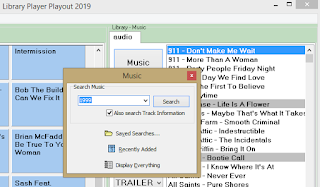 Supports multiple sound cards/outputs, quickly search for tracks using a range of options, track info using the information stored within audio files, mix and play multiple tracks at the same time, support for M3U and PLS files and fader/remote start using your computers joystick input. 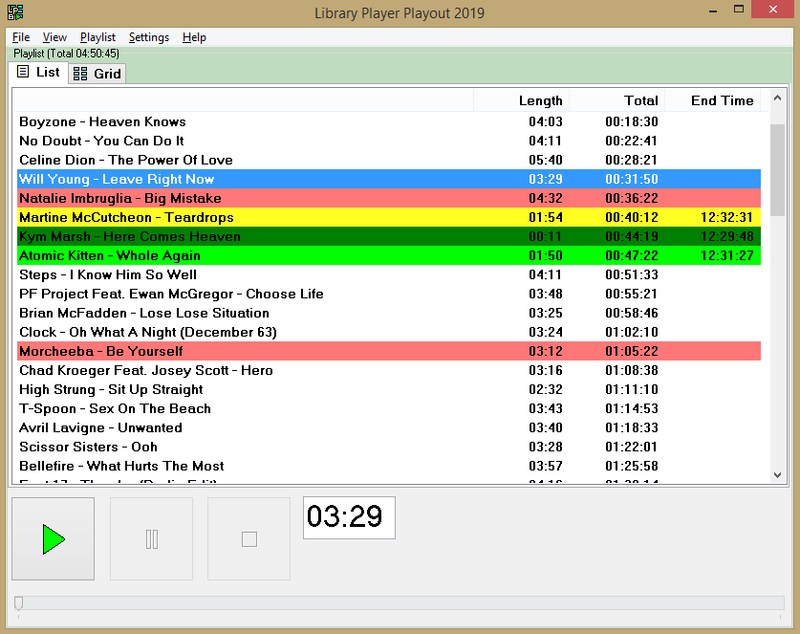 Library Player Playout contains the features you need from other leading playout systems, without the complicated setup or bloat. Its also really easy to use with minimal or no training. Our prices are comparable to other playout systems. Try the software for free for up to 28 days! No obligations, you don't have to register or give us your e-mail address, and we certainly won't install any spyware/nasties. Download your free trial and discover the benefits of using Library Player Playout! 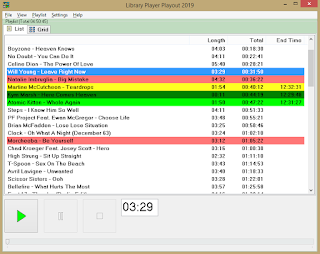 Click here to download the Library Player Playout User Guide separately (the user guide is included with the software).